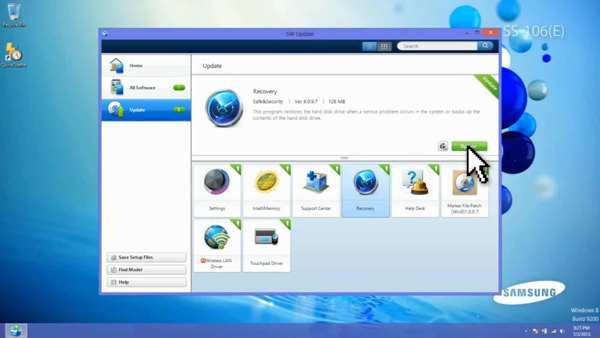 How to install the software using SW Update. 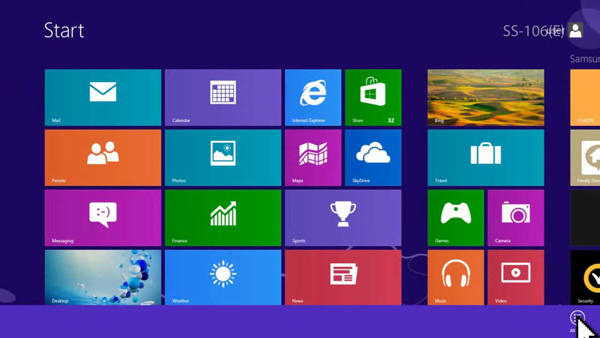 On the Windows 8 Start Screen, right click on empty space. Choose 'All Apps' in the bottom right corner of the screen. Click 'SW Update' in the Samsung folder. 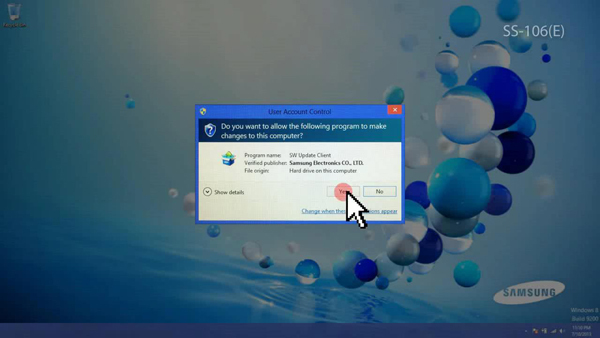 On the ‘User Account Control’ window, click ‘Yes’. When the ‘User Agreement’ window pops up, click ‘I agree’. On the SW Update home screen, click reset icon. 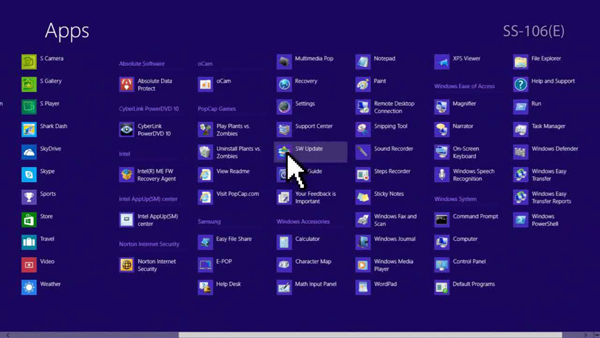 On the ‘All Software’ menu, choose the software to install. 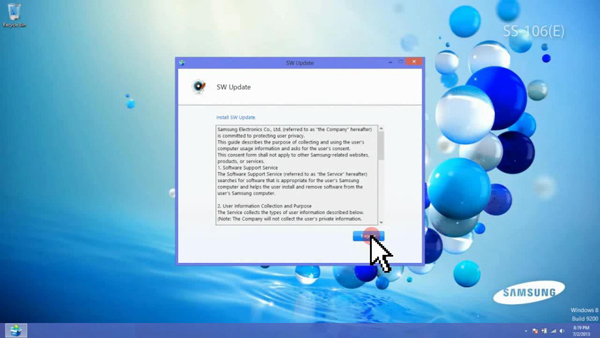 On the 'Update' menu, choose the update to install. Click 'Save Setup Files' button of the SW Update screen. type in the model name then choose the Operating System. Select the check boxes of the 'software' to save then click 'Export' button. 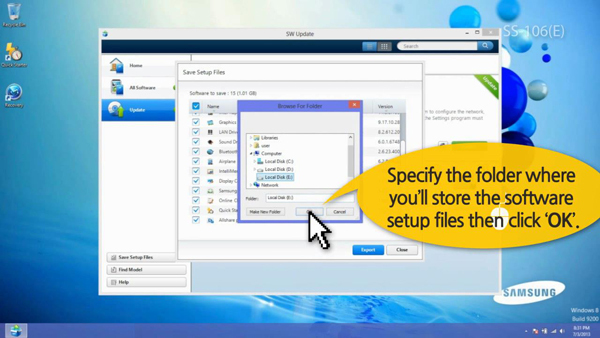 Specify the folder to save, click 'Save' then click 'OK' button. 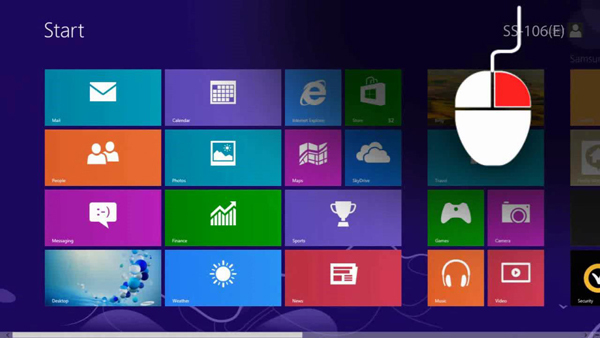 [Windows 8] Viewing the PC screen on a TV or external monitor using Wi-Di and HDMI.